In preparation to do a $300 million renovation of Wrigley Field, the team partnered with Northwestern University to conduct a survey and found that there was a desire for the 100-year park to be more "family-friendly". 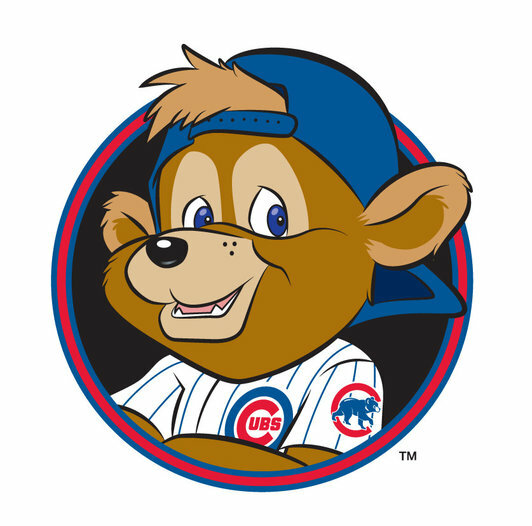 As a result, the Cubs announced their first official mascot, Clark. He is a cute, young and friendly cub who wears a backwards hat and will greet fans as they enter Wrigley Field. No audio has been released but I would guess that he has a high pitch voice too. Is this really what a baseball franchise who hasn't won a World Series in over 100 years needs? Wrigley Field is one of the oldest and most iconic baseball parks ever. Much like Fenway, it's super intimate and a great place to watch a baseball game. I understand that the mascot is for a younger generation attending games, but I don't think it will benefit the park at this stage in the game. Renovations usually mean higher ticket prices, so as a fan, this isn't where I would like to see my money going. The Chicago Cubs are one franchise that have made a positive changes into the modern day era while still maintaining an old school ballpark vibe. The actual "Cub" logo has evolved a lot of the years. It went from cub throwing a ball with too hands to a happy, cuddly cub to an over-simplified cub head that got meaner over the years. In my opinion, the most recent cub logo is the best one. The asymmetry inside the C makes the cub feel modern and playful without looking juvenile or soft. I'm not saying that Clark should look like a fierce grizzly bear (like the Chicago Bears) because that wouldn't make sense. The team is named the Cubs, therefore they have the opportunity to make something fun. It just doesn't need to look like something from a cereal box. At least make him blue for consistency!